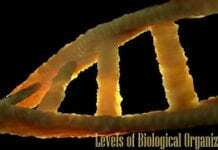 Biology, the study of life, is not limited to a single topic but actually involves several aspects like structure and function, behavior, name, applications, etc. Since its advent as a scientific discipline, a lot of scientists have contributed to its advancement and development, be it voluntarily or by serendipity. With that, names of significant discoverers come to mind, along with their great contributions on specific fields of biology. 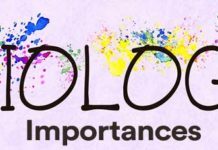 In this post, we have explored the names of the founding scientists or the so-called “Fathers” in the field of biology and the corresponding scientific contributions they’ve made that will be remembered forever. The father of biology is Aristotle. 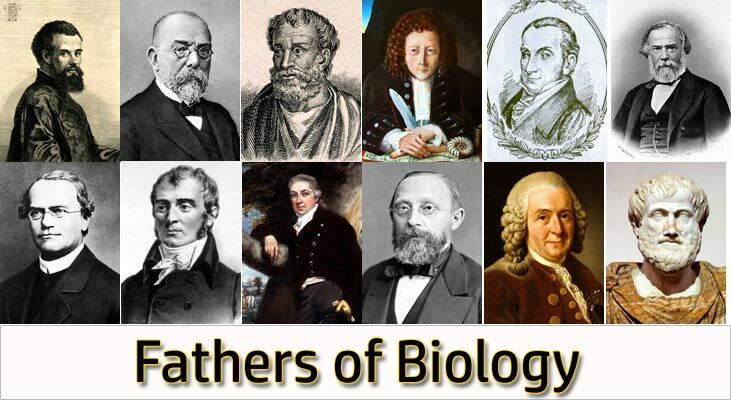 Here are the fathers of biology in various sub-disciplines of biology. 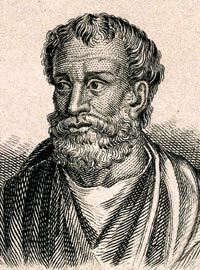 Born in the Greek town of Chalcedon, Herophilus was a physician who taught at the Hippocratean medical school. Herophilus was the first ever person to perform human dissection and because of his outstanding anatomic discoveries, Herophilus was regarded as the “Father of Anatomy“. 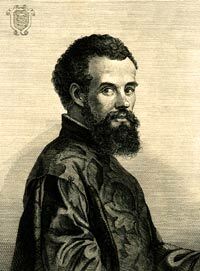 On the other hand, Andreas Vesalius is regarded as the “Father of Modern Human Anatomy“, regardless of all the prohibitions about the dissection of humans during his time (16th century A.D.). The development of the field of anatomy became stagnant for centuries as it took more than 1800 years before human dissection was allowed again since Herophilus’ time. Refer to the history of anatomy for more details. 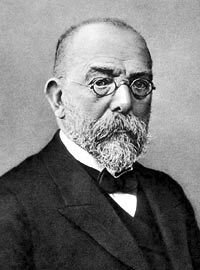 Robert Koch was notable for his discovery of the bacterium Bacillus anthracisin 1876 and such had launched the new scientific field of bacteriology. Refer to History of Microbiology for further details. His discoveries about microscopic techniques and different pathogenic bacteria like the Bacillus anthracis, Staphylococcus, Mycobacterium tuberculosis, Vibrio cholerae, etc. ensued the “golden age” of scientific discovery. In honor of his phenomenal discoveries, Koch was called as the “Father of Bacteriology“. 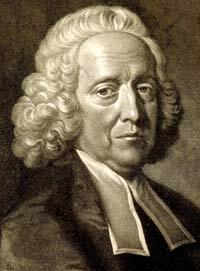 Known for his exemplary published books on botany (i.e. “On the history of plants” and “On the Causes of Plants“), the Greek philosopher Theophrastus is often called as the “Father of Botany“. In general, Theophrastus focused on the integration of botany into agriculture and was also the first person to study plant growth and analyze plant structure. Theophrastus’ discoveries and writings were extensive and detailed enough that it took more than 1800 years before any novel findings in the field were done. Known for his discovery of the first ever compound microscope, Robert Hooke is often called the “Father of Cytology“. He used such invention to view and observe the most minute and previously unknown structures called as the cells. He has written all his cell findings in the first ever scientific publication bestseller, the Micrographia in 1665. Aside from his discoveries in biology, Hooke also has made several significant contributions to the field of agriculture, physics, chemistry, and mechanical engineering. 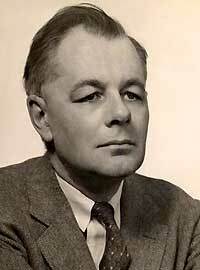 The father of ecology is a UK born zoologist & Yale University professor, G. Evelyn Hutchinson. In 1957, he said that an ecological niche was an “n-dimensional hypervolume.” According to this concept, the dimensions are the environmental factors that allow a species to survive. He proposed the idea that an organism’s role in its niche could be how it feeds or how it reproduces. His work influenced other people to explain and explore the variety of resources used by one species, and many other ecological questions. 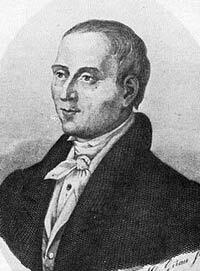 The next biologist in this list is the German surgeon Kaspar Friedrich Wolff who is very famous for his scientific work Theoria generationis in 1759. Wolff discoveries center on the idea that plant and animal cells that make up the embryo usually start as unspecialized but will later develop into specific cells that eventually form the tissues and organs. Before his discoveries, it was believed that adult living organisms are just exact copies of their offspring, only bigger. But the works of Wolff have proven them wrong. His discoveries have then paved the way for him to be considered as the “Father of Embryology“. 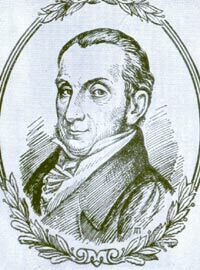 Many physicians and medical specialist regard the controversial physician Charles-Edouard Brown-Séquard to be the “Father of Endocrinology“. In the year, 1856, Brown-Sequard reported that the removal of adrenal glands can be detrimental to animals and in order to address this problem, he began injecting extracts from other animals’ adrenal extracts to them. However, one of his experiments, which is about the effects of injecting testicular extracts from animals to humans, made him appear ridiculous to some scientists. Even with Brown-Sequard’s findings, the field of endocrinology was initially regarded as “quackery” and not a serious scientific field and it was only through the discovery of insulin in 1921 that this field became labeled as one. Famous for his work on pea plant Pisum sativum, the Austrian monk and scientist Gregor Johann Mendel is considered as the “Father of Genetics“. Mendel proposed the three Laws of Inheritance: Law of Segregation, Law of Independent Assortment, and law of Dominance. In order to propose these laws, Mendel had to grow over 10,000 pea plants and it took him almost 8 years to finish them all. Unfortunately, during his time, Mendel’s work wasn’t appreciated much and only after the rediscovery of his findings that the fundamentals of genetics were fully understood. 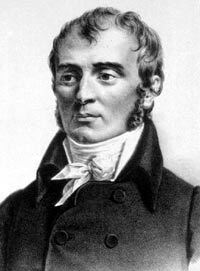 A French anatomist, Marie Francois Xavier Bichat is well-known as the “Father of Modern Histology“. Bichat studied about the effects of different diseases on the organs by performing more than 600 human autopsies. Based from these, he concluded that the study of the diseases themselves must be on the tissue level rather than the organ or the entire body. 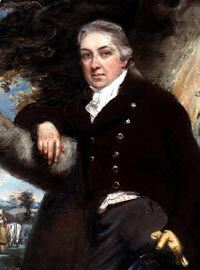 An English physician, Edward Jenner lived in a period when smallpox was one of the deadliest diseases. In order to address this problem, Jenner made the first ever vaccine against smallpox by rubbing some amount of cowpox pus to an incision on one of his patient’s arm. Later on, his vaccine worked and his theory proven. Refer to the complete history of immunology here. Some say that Jenner’s discovery had saved more lives as compared to the study of any other scientist in history, earning him the prestigious title “Father of Immunology“. Interestingly, Louis Pasteur was traditionally regarded as the “Father of Immunology” because of his works like the Germ Theory of Disease. Mycology is the study of fungi and organisms alike. While its history is still unclear, many scientists acknowledge the role of Pier Antonio Micheli in the development of the discipline. Micheli pioneered in the use of microscope to study fungi and with that, he had come up with detailed illustrations of different fungal species. Aside from that, he was also the first person to thoroughly study spores in fungi. Because of his contributions, Micheli is often called the “Father of Mycology“. During the 18th century, French naturalist George Cuvier single-handedly found the scientific discipline of paleontology. As a naturalist himself, Cuvier focused on various studies about the history and development of organisms. Check out the famous paleontologists here. Aside from establishing the discipline, Cuvier also developed several methods for the study of organismal biology and discovered evidences that prove the extinction of species. Rudolf Virchow is considered as the “Father of Cellular Pathology” due to his scientific contribution that center on the idea that infectious diseases can be understood more when studied at the cellular level. 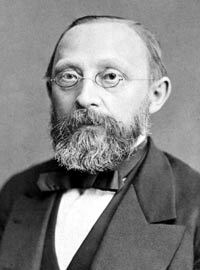 Unlike Bichat who preferred to work on tissues, Virchow viewed cells with great importance as he believed that each element inside it is mutually independent. Virchow proposed his most famous dictum: “Omnis cellula e cellula” (All cells come from preexisting cells.) in 1855. Aside from his machine inventions for ventilation, the English botanist Stephen Hales is most notable for being the pioneer in establishing plant physiology as a discipline. Hales’ hypotheses served as the foundations for modern knowledge in plant physiology. Such were his thoughts on the process of transpiration and photosynthesis. In 1727, his most important works and discoveries were published in his book entitled Vegetable Staticks. Often called the “Father of Taxonomy“, Carolus Linnaeus (also Carl von Linné) is famous for introducing his system of the description, identification, naming, and classification of living organisms, which is still used at present. In 1735, Linnaeus published his book entitled the Systema Naturae, that takes into account all of his detailed classification of living organisms. Because of his work on the crystallization of the Tobacco Mosaic virus (TMV), biologist Wendell Stanley is considered as the “Father of Virology“. For the same accomplishment, Stanley was awarded the Nobel Prize in Chemistry in 1946. Interestingly, this award was the first ever award to be given to a virologist. (As such, Stanley can be considered to be a biochemist). Known to be one of the greatest Greek thinkers, Aristotle excelled not only on the field of philosophy but also in the natural sciences as well. His approach and theories may appear to be quite primitive as compared to modern methods but his discoveries helped in building the fundamental knowledge in zoology. 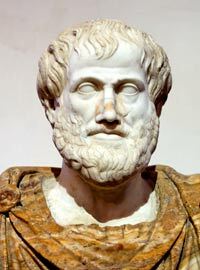 Aristotle has written several works about the history, movement, growth, and the parts of animal in general. Aside from being the “Father of Zoology“, Aristotle is also sometimes referred to as the “Father of Biology“. What do you think would have happened if the aforementioned scientists never discovered anything? Cite this article as: "The Fathers of Biology," in Bio Explorer by Jack Kirsten, September 7, 2017, https://www.bioexplorer.net/fathers-of-biology.html/. “Greek anatomist herophilus: the father of anatomy”. Accessed September 07, 2017. Link. “Herophilus of Alexandria (325-255 B. C.). The father of anatomy. – PubMed – NCBI”. Accessed September 07, 2017. Link. “Robert Koch and the â€˜golden ageâ€™ of bacteriology – ScienceDirect”. Accessed September 07, 2017. Link. “Who is known as the father of botany? – topics.info.com”. Accessed September 07, 2017. Link. 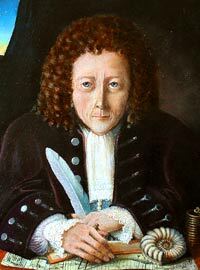 “Robert Hooke – Biography, Facts and Pictures”. Accessed September 07, 2017. Link. “Who is considered the "father" of embryology? – topics.info.com”. Accessed September 07, 2017. Link. “Controversial “father of endocrinology: Brown-Squard”. Accessed September 07, 2017. Link. 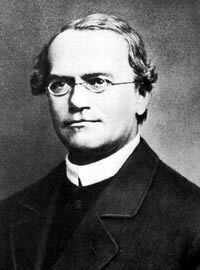 “Mendel as the Father of Genetics :: DNA from the Beginning”. Accessed September 07, 2017. Link. 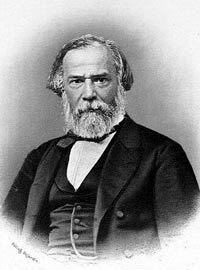 “Father of histology? Tissues-Science – Class 9”. Accessed September 07, 2017. Link. “EDWARD JENNER – FATHER OF IMMUNOLOGY | Infinite Fire”. Accessed September 07, 2017. Link. “Louis Pasteur, the Father of Immunology?”. Accessed September 07, 2017. Link. Rudolf Virchow -father of cellular pathology. Accessed September 07, 2017. PDF Link. “Rudolph Virchow, the father of cellular pathology | AAAS – The World’s Largest General Scientific Society”. Accessed September 07, 2017. Link. 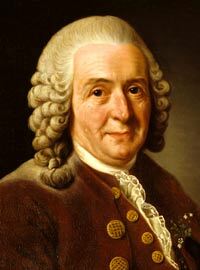 “Carl Linnaeus”. Accessed September 07, 2017. Link. “Aristotle’s Zoology – History of Biology”. Accessed September 07, 2017. Link. “The Role of Pier Antonio Micheli (1679-1737) in the Development of Mycology | Aspergillus & Aspergillosis Website”. Accessed September 28, 2017. Link. 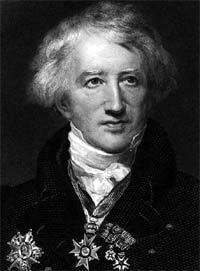 “Georges Cuvier”. Accessed September 28, 2017. Link. “Stephen Hales Facts”. Accessed September 28, 2017. Link. 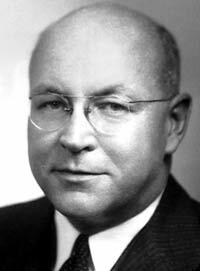 “Wendell Stanley: First to Crystallize a Virus | Leonard Norkin Virology Site”. Accessed September 28, 2017. Link.